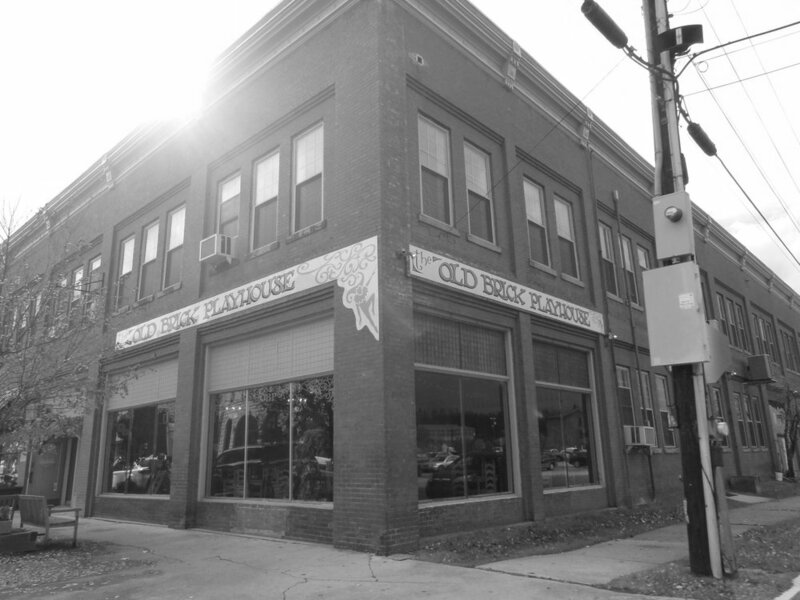 The Old Brick Playhouse was established in 1991-1992 and, for the past twenty-five years, has offered Educational Arts programming locally, throughout the Mid-Atlantic region and overseas. The Old Brick Playhouse offers regular afterschool programs that provide a safe and positive environment for elementary and secondary school students to explore the arts. Programs serve 150 secondary students and 80 elementary school students boasting an alumni roster of over 2,540 students. In additional to local afterschool programming The Old Brick Playhouse Touring Company creates an original play annually designed to tour elementary schools throughout the state focusing on Social and Cultural Tolerance, Conflict Resolution, and Drug and Anti-Bullying Strategies. Over the past 25 years, these shows have entertained over 2.5 million children and have been merited at the National Theatre in Washington, DC, the Edinburg Festival Fringe, and thousands of Elementary Schools in the Mid-Atlantic region and overseas. In 2009, The Old Brick Playhouse received the Coming Up Taller Award from the President’s Committee on the Arts and the Humanities, in partnership with the National Endowment for the Arts, the National Endowment for the Humanities, and the Institute of Museum and Library Science presented at the White House by First Lady Michelle Obama. This award recognized the Old Brick Playhouse as one of the top arts educational programs in the country. Old Brick original plays have also been recognized by the WV Governor’s Arts Fellowship Award. During summer, the Old Brick offers a series of performance camps serving students from age five to age twenty. Additionally, in 2010, Governor Joe Manchin presented The Old Brick Playhouse with the WV Governor’s Leadership in the Arts Award for excellence in educational programming. Missy received her B.A in Theater/English from James Madison University, in Harrisonburg, Virginia, and her M.F.A. in Directing and Acting from Virginia Commonwealth University in Richmond, Virginia. She also studied at the Gaiety School of Acting in Dublin, Ireland. Over her 20 year career, Missy has toured with the Shenandoah Shakespeare Express and several professional improvisational companies; directed and preformed in The Old Brick Playhouse Touring Company in hundreds of venues throughout the Mid-Atlantic region and overseas; penned over 20 original musical comedies for children that have been merited at the National Theater in Washington, DC, and the Edinburgh (Scotland) Fringe Festival; served as an adjunct faculty member in Theater and Communications departments at James Madison University, Virginia Commonwealth University, Davis and Elkins College; Artist-in-Residence in Pendleton County, West Virginia; and received a West Virginia Fellowship Award for Play-writing. Phil received his B.A. in English Literature from the University of Nebraska. He is a veteran of the stage with appearances in over 200 plays in various theatre companies in the Mid-Atlantic region. Phil was part of the development of four regional theatres and festivals and has extensive directing and acting experience. Cate graduated from Davis and Elkins College with a B.A. in Environmental Science and a minor in Appalachian Studies. Her interest in children’s access to the arts is evident in the many extracurricular activities for which she has volunteered her services. Cate has worked at The Old Brick Playhouse since 2009 as an apprentice instructor and aboard The Polar Express as an actor, server and Santa’s Elf. Deb received her B.A. in Sociology and Anthropology from Davis and Elkins College. She worked with at risk teenagers for 27 years and is currently a Montessori pre-school teacher. Deb has worked at the Old Brick Playhouse as an Apprentice Instructor since 2009 and also as an actor, server, and Santa’s Elf on The Polar Express train for the last 4 years.